~ The Mako – Oh how I hated this vehicle. The concept was great, I loved seeing all the different worlds, and the driving was a nice change of pace, but the execution of it was terrible. The terrain was often times way steeper than it should have been, the objects you could investigate were in some of the worst possible places, and the fact that if you boosted you went up instead of forward. There’s even a joke in Mass Effect 3 about that last one where Commander Shepard and Cortez are arguing which is better, the Mako or the Hammerhead, and Cortez makes a comment about propulsion systems. ~ Combat Mechanics – These could have been done much better, but they had to focus more on the story than the combat and I’m glad they did. Other than the atrocious sniping (Being an Infiltrator didn’t help), the mechanics were manageable. ~ Pinnacle Station – Let’s just say I didn’t bother with this one on my Insanity run. Some of the stuff you had to do in that DLC was downright annoying. ~ Hacking Mini-Games – While cool at first, after doing this probably hundreds of times, it’s not so cool anymore. Glad they removed them from 3. ~ Simplified Inventory – While sometimes it became tedious in Mass Effect 1 to have so much crap to cycle through, it was one of my favorite parts of the game. More customization is never a bad thing in my opinion. I was sad to see this feature go, but I’m happy with the compromise of the weapon modding system they introduced in 3. ~ The Journal – Why can we no longer check our progress on a mission? There were multiple times playing through the game that I wasn’t sure whether or not I had the item to complete a mission, mostly the Citadel ones. This, I’m sure, contributed to my more than likely 10 hours spent on the Citadel. Now that I’ve got my issues with the series out there, it’s time to talk about why this is my favorite series I’ve ever played. This series not only has one of the best written stories that I’ve ever experienced, but I also connect to it very easily. Aside from the saving the world and soldiery stuff Shepard gets into, everything else about the game just feels like an extension of my real life. Almost every one of the major characters you encounter in the series, I can relate them to my friends and family in real life. This is why I believe I can spend hours upon hours just talking to the characters. I long to be able to constantly be around those people I care about and want to be around and these games allow me to do so. This is why I love them so much. The character interactions are spot on and it really allows you to become emotionally attached to these characters, even though that may lead to the occasional bout of sadness. Multiple times throughout this game, I shed tears thanks to the emotional strength some of the scenes had. There have been very few games that have ever caused me to cry; the emotional aspect of these games is second to none. I’ve never been so anxious or worried over a fictional character, or a decision that I’ve had to make in a video game in my life. From choosing Ash or Kaidan in ME1, the suicide mission choices in ME2, and watching my friends die in ME3, these games have had such an emotional impact on me that it is hard to describe. I can’t say enough good things about these games. There are so many memorable moments from these games that it’s hard to count. 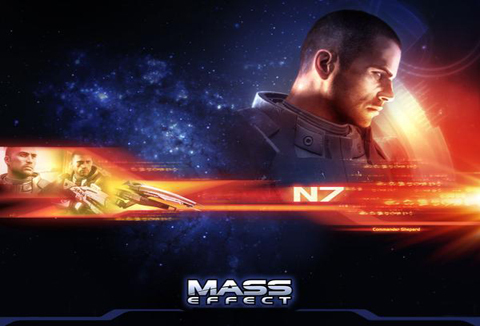 I just want to say thank you to Bioware for creating such an amazing franchise, and I hope this isn’t the last we see of these wonderful characters. My crew will always hold a special place in my heart, especially you Miss vas Normandy.